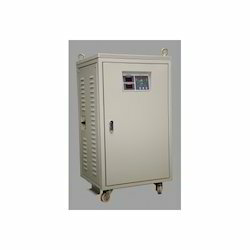 We are the manufacturer & supplier of Servo Voltage Stabilizer. 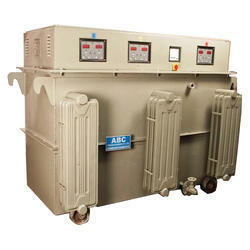 We offer a range of Servo Voltage Stabilizer, that are designed using the latest technology and appreciated by our clients for excellent voltage regulation. In order to meet the specific needs of the clients, these are also customized by us as per their specifications. We are engaged in manufacturing industrial servo stabilizers that are appreciated by the clients fowide operating voltage range, oil and grease resistance and trouble free service. These are designed and developed using high quality raw material and latest technology. This ensures consistent monitoring of the output voltage and controlling the variations of the input voltage. 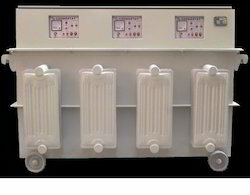 Our range of industrial servo stabilizer is appreciated by the clients for good voltage regulation. Our Varaic Type Servo Stabilizer equipped with latest digital micro processors controllers, have been designed to give a constant output voltage with stability of +/-1%. 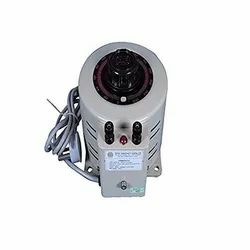 Output voltage stability of our servo stabilizer allows the optimum drawing of the current and as such no extra power is consumed as low as well as high voltage. Our servo stabilizers posses high end quality raw material to maintain lowest of unwanted losses (load & no-load losses) and consequently maintaining high efficiency and reducing overall mdi. Any type of Sensitive Microprocessor based machine. We manufacture best in class dimmer stat, we provide these according to customer specifications.